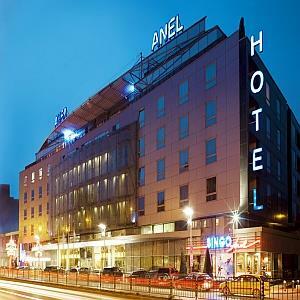 Visitors to Sofia can enjoy some great stays in luxury hotels, but for some truly wonderful pampering, the Hotel Anel is hard to beat. The hotel is located in the Midtown area of the city, close to all the main central business, administrative and tourist destinations that travellers will want to come and see. The area is a fairly relaxed one compared with the hustle and bustle of the city’s busiest streets, enabling business travellers in particular to hold meetings at the hotel in a comparatively laid-back atmosphere. At the same time, those who want to get around can do so easily on the Sofia Metro. This underground system is still being expanded, but still offers plenty of access. The Opalchenska stop is a very short walk from the hotel. What exists outside the hotel is just part of the charm, for it is in the Palm Spa that the Hotel Anel really comes into its own. For a great pampering, what could be better than making the most of no less than 400 sq metres of space, where all is tranquil and relaxing and the staff are dedicated to giving every visitor a wonderful, enjoyable time soaking and easing away all those stresses and strains, leaving people feeling chilled, rejuvenated and ready to face whatever life throws at them. Whether it is a casual swim in an 18-metre pool, luxuriating in a three-person jacuzzi, or using the steam room, sauna or infra-red sauna to take the pounds off, plus a fitness suite, there is plenty of choice of places to exercise and relax. There are also plenty of massages, body treatments and detoxes available for both men and women, with advanced skin care, palm oils and aromatherapy among the treatments available. Put together, this wonderful spa and its treatments combined with the great location make the Hotel Anel a superb place to spend a relaxing stay in Sofia, enabling guests to come to a big city without being overwhelmed by the hustle and bustle.